Attorney Kathryn Schultz is the firm’s senior litigation associate representing a broad range of clients – individuals who have suffered serious personal injuries, victims of workplace discrimination and retaliation, and retirees seeking to protect their benefits. Kathryn brings dedication and intellect to all aspects of case handling. Kathryn joined the firm in 2010. During her time with Smith, Steiner, Vanderpool & Wax, Kathryn’s diligent work has resulted in many successful mediated settlements for plaintiffs and contributed to several favorable appellate outcomes. Kathryn has experience fighting for individuals against commercial property owners, defense contractors, nationwide banks, large corporations, pension plans, school districts, and public utilities. Kathryn received special recognition in 2010 from Casa Cornelia Law Center, a San Diego non-profit, for her pro bono work on behalf of detained asylum seekers. 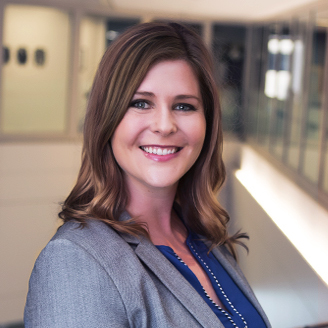 Kathryn is an associate with the American Inns of Court, Louis M. Welsh Chapter, a member of the Consumer Attorneys of San Diego, and alumnus of the National Institute of Trial Advocates’ trial skills program. Kathryn received special recognition in 2010 from Casa Cornelia Law Center, a San Diego non-profit, for her pro bono work on behalf of detained asylum seekers. Kathryn earned her bachelor’s degree from the University of California, Berkeley, and received her J.D. from the University of San Diego School of Law. Raised in San Diego, Kathryn is active in the community. She serves on the Junior League of San Diego’s Fund Development Council, and coordinates the First United Methodist Church of San Diego’s annual Angel Tree giving program, which serves San Diego county children with incarcerated parents. In her free time, Kathryn enjoys traveling, cooking, and running the San Diego bayfront.